It was a particularly cold summer this year in Iceland. Having journeyed from the heat of East Africa, Iceland’s bitter weather came as an icy surprise to environmental officer Paulina Peter Lokongo, when she arrived in the small island nation of far northern Europe. Paulina was one of eight specialists from sub-Saharan Africa and East Asia who traveled to Iceland to meet local farmers, consultants, scholars and entrepreneurs in a week-long field trip. Organized by the United Nations University Land Restoration Training programme (UNU-LRT), the field trip gave participants the opportunity to study land degradation, restoration and land management. Despite the cold, “it was a lifetime opportunity to learn and to share experiences and knowledge, and I was so happy to be part of it,” Paulina said. 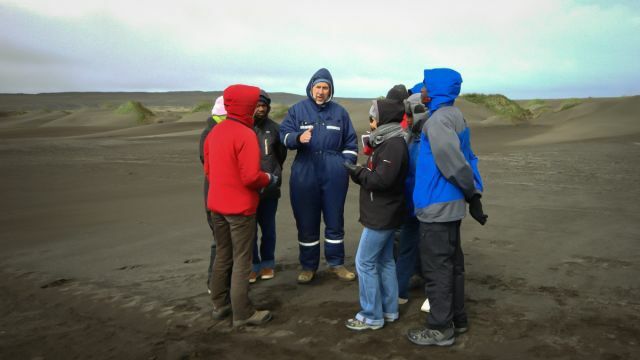 The field trip was a part of an annual six-month training course run by UNU-LRT in Iceland and custom-built for professionals from developing countries facing severe land degradation. Paulina and her seven “classmates” were selected after a competitive process, in which academic institutions from key partner countries in the developing world were invited to propose suitable candidates to UNU-LRT. Successful nominees, selected via interviews with UNU-LRT staff, were offered a fellowship for the course. The training course provided an overview of the extent of and the drivers behind land degradation and desertification, as well as the processes and principles of land degradation, ecological restoration and sustainable land use on a broad scale. Environmental governance and land management planning was also covered, together with various practical exercises. Land degradation is a global challenge that has a severe impact on the environment, climate and human society. According to the Food and Agriculture Organization of the United Nations (FAO, 2008), “an estimated 1.5 billion people, or a quarter of the world’s population, depend directly on land that is being degraded”. The UNU-LRT course brought together diverse participants from developing countries faced with severe land degradation, to explore solutions to these pressing challenges. 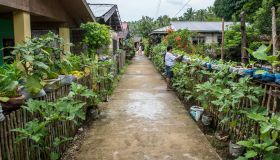 Despite their different professional backgrounds, participants all shared a passion for restoring degraded ecosystems and promoting sustainable land use. The knowledge and experiences they attained in the training course will also prove invaluable after they return home, as there is a great need for expertise knowledge in this field. What can a Ghanaian researcher, an environmental officer from Uganda and a Mongolian lawyer working on environmental issues learn in a training programme located on a chilly North Atlantic island – far away from the Sahel region or the Mongolian Gobi? First and foremost, participants benefited from sharing knowledge and experiences with other specialists from different countries and cultures, and learning from each other’s respective experiences in tackling environmental issues. The week-long field trip formed a core element of UNU-LRT’s longer six-month training course. 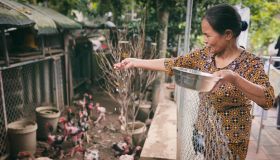 After weeks of lectures and short excursions, the field trip gave participants the opportunity to directly link the issues covered in the classroom with real experiences on the ground. For Kwabena Abrefa Nketia, “the field trip was an eye opener.” The 26-year-old researcher from Ghana was impressed by “how Icelandic farmers are closely involved in the land restoration process”. During the six-month training course, participants also studied transnational experiences in combating land degradation. They learned from the lessons offered by Iceland′s experiences in implementing activities to halt soil erosion and restore degraded ecosystems for over a century. 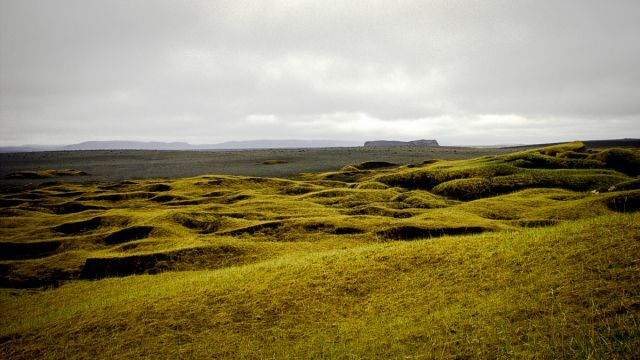 Land degradation is widespread in Iceland. After centuries of unsustainable land use — combined with harsh natural conditions, including cold periods and volcanic activity — most native woodlands have disappeared, continuous vegetation cover has declined and desertified areas have increased. 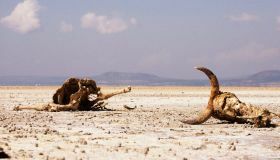 However, soil conservation activities (which systematically began over a century ago) have led to invaluable experience and knowledge on how to combat land degradation and re-vegetate denuded landscapes under harsh conditions. At the same time, Icelandic society has changed from being one of the poorest in Europe, dependent mainly on fish and farming, to a thriving modern society with a fruitful research and university sector. On the first stop on the field trip, Anna Margrét Jónsdóttir, who runs the Sölvabakki sheep farm in northern Iceland, welcomed the group. The farm has been in Anna’s family for over a century, and she explained how the family had attempted to restore pastureland on their property. Anna and her family have participated in the Farmers Heal the Land programme for over 15 years. 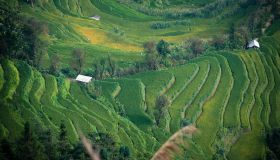 Established by the Soil Conservation Service of Iceland (SCSI) in 1990, this programme assists farmers to halt soil erosion and re-vegetate degraded land on their properties by offering them expert consultation and advice, as well as seeds and fertilizer. The programme, which involves about 25 per cent of all Icelandic farms, has successfully increased awareness of sustainable land management, built bridges between disciplines and improved land conditions. Bjarni Maronsson, a local consultant of SCSI based in northern Iceland, also shared his views and experiences in managing around 12,600 square kilometres of land, ranging from the ocean up to the highlands. During the summer months, Bjarni travels widely throughout the local area, to check on the implementation of conservation projects, educate farmers on the importance of sustainable land use and provide advice on overgrazed land. Bjarni Maronsson explains the importance of sustainable land use to students. Photo: UNU-LRT. He explained that innovation and imagination were needed to find solutions to persistent sand movements, which affected the local land, social and road conditions. Participants were impressed by Bjarni Marónsson’s commitment and capacity to engage local farmers. 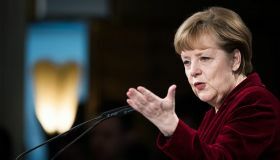 Paulina, for example, commended “his methods of using stones to protect riverbanks in the lowlands”. Close to lake Myvatn, a well-known Ramsar wildlife refuge and bird paradise in northern Iceland, the group met with Ólafur Arnalds, a professor in soil science at the Agricultural University of Iceland already well known to the group, as he is one of the key lecturers in the UNU-LRT course. Ólafur took the group to one of Iceland’s largest areas where sheep grazing is prohibited. The area, located in an active volcanic zone, is characterized by its black sands (caused by desertification in the Middle Ages). Another stop in the fieldtrip was Höfn (meaning harbour), a small town in the south-eastern corner of Iceland. The visit coincided with the annual lobster festival, a highlight on the local social and commercial calendar. The group called on Þorvarður Árnason, Director of the University of Iceland’s Regional Research Centre based in Höfn. Þorvarður drew upon his multi-disciplinary background and strong interest in the local community and environment to explain how innovative approaches can lead to new opportunities. He drew on examples from new initiatives in eco-tourism, local food products and educational opportunities, to name a few. In just seven days, the field trip covered almost the whole ring-road around Iceland, exposing UNU-LRT course participants to landscapes, cultures and land management practices that were significantly different to those of their home countries. The field trip gave participants a more holistic view of the challenge of combating land degradation, both in Iceland and globally. It highlighted the importance of collaboration between farmers, scientists and land management practitioners. Following the field trip, participants have continued to implement the knowledge and practical experience gained from the UNU-LRT course, through individual project work under the supervision of a specialist. It is when they leave Iceland (in October 2011) and return home that the real challenges will begin: How can the lessons they learned in Iceland be applied elsewhere, to deal with land degradation issues? Whilst this is a difficult question, as a result of their UNU-LRT experiences, participants all have plenty of new ideas, new knowledge and new perspectives on to share when back home.